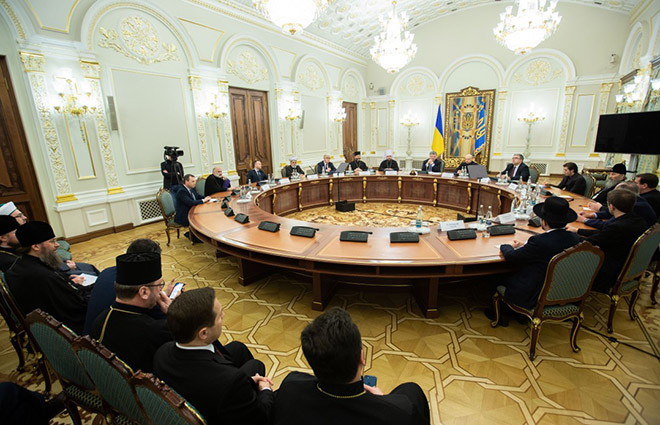 His Beatitude Sviatoslav, Father and Head of the Ukrainian Greek Catholic Church, attended a meeting of the President of Ukraine Petro Poroshenko with the All-Ukrainian Council of Churches and Religious Organizations on March 21, 2019. The participants of the meeting discussed current issues. In particular, the President drew attention to the challenges facing the Ukrainian people and the state today in terms of inter-confessional and state-church relations. The Head of the UGCC thanked the President for mentioning religious freedom in his speech. "Religious freedom is the main value of a democratic society. And we are really enjoying this value today in our country. We always talk about this abroad," said the Head of the UGCC. His Beatitude Sviatoslav noticed that Ukraine is a multi-confessional state. "Therefore, it is so important for us," he stressed, "that our state retain its secular character, be a home for all and all the churches and religious organizations have not only identical rights, but also responsibilities regarding their state, their people and the law of Ukraine." According to him, the UGCC always wants to build partnerships with the state, in order to work together for the common good. "We are different, but we are united by a sense of duty towards our people. And in this we can be an example for politicians," added the Primate. The Head of the UGCC also touched on the topic of possible violence during the presidential election. "We are concerned that there are manifestations of aggression, hatred, confrontation in the Ukrainian society. But those most trusted by the Ukrainian people today - the army, volunteers, churches and religious organizations - we will jointly say "no" to violence," the Head of the Church stressed. "For otherwise necessary conditions for honest and fair, transparent elections can not be created," he added. Finally, the Primate urged all citizens to come to the polls and vote. 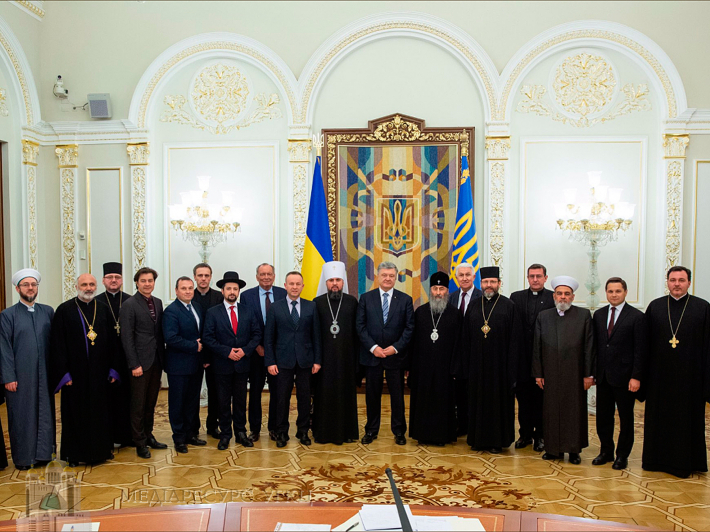 President Petro Poroshenko thanked the leaders and representatives of AUCCRO for the meeting and asked everyone to strengthen their prayers in order not to allow the country to destabilize, and the forthcoming elections were held fairly, honestly and without conflict.